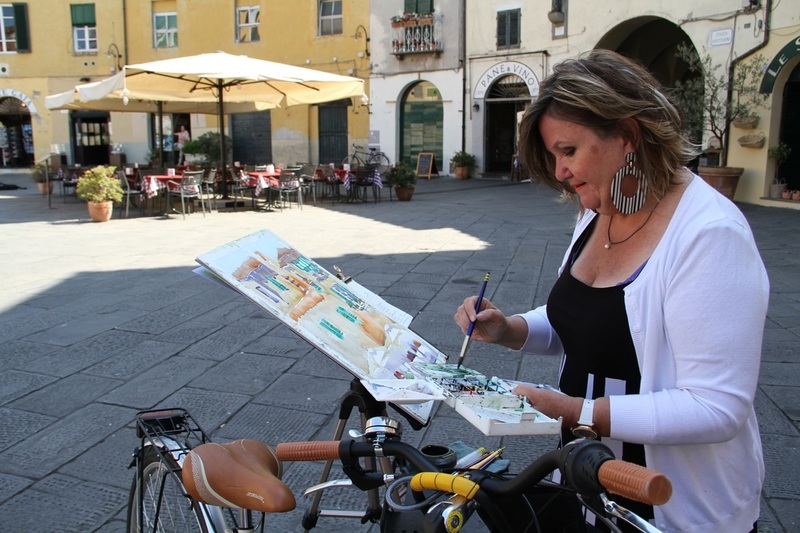 come paint with me in Italy!! 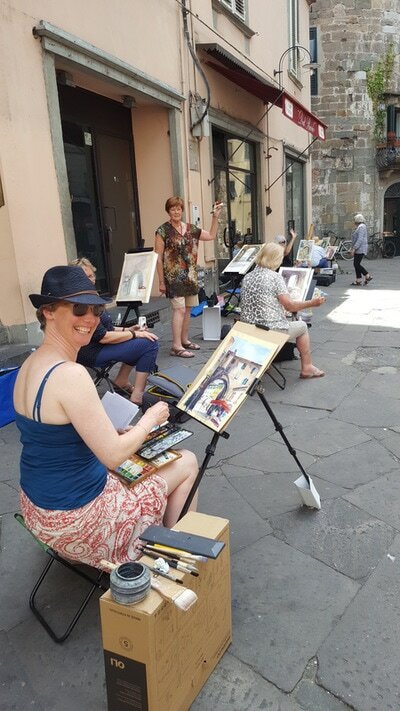 Come and Paint with me in Italy!! 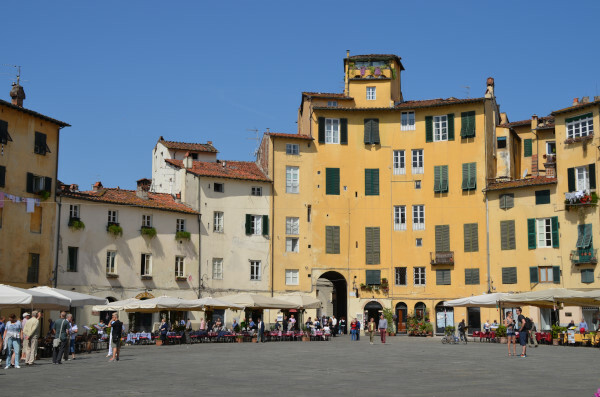 My annual pilgrimage to paint in Italy always includes Lucca - its beauty never ceases to amaze me! 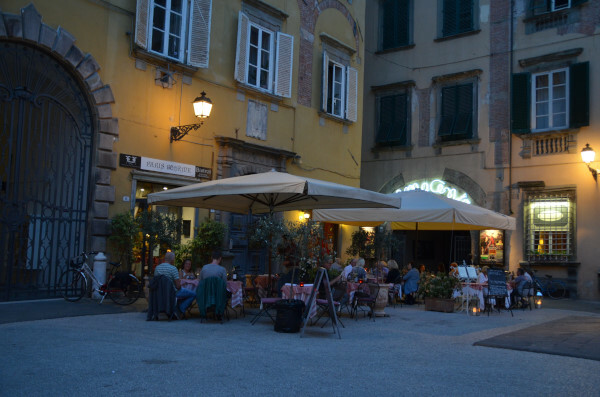 Located in the heart of Tuscany, Lucca is a slower pace and is full of history and sights including the passeggiata di mura and L'anfiteatro! My painting holiday workshops in Lucca are all about the fun of painting in a supportive group environment and is suitable for all levels. 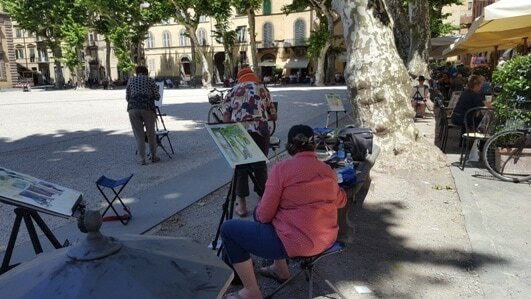 Mostly, we'll be painting en plein air (a nice quiet locale in which to play with our paints!) and enjoying the fresh air. 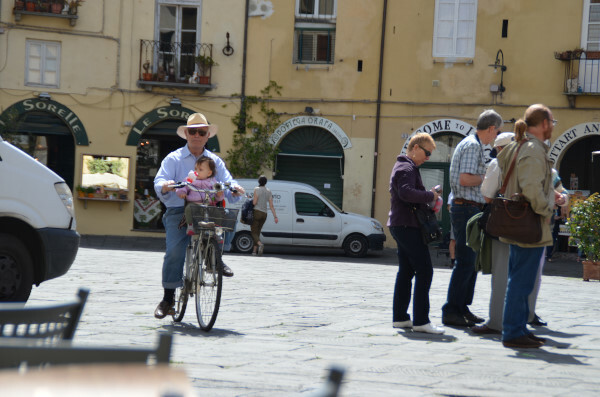 I know Lucca like the back of my hand and will take you to some of my favourites spots to paint!! 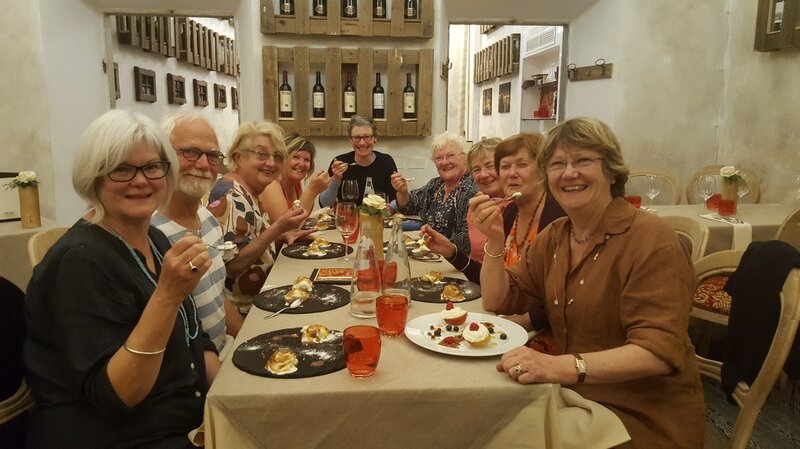 All your accommodation, meals (alcohol is not included), gratuities, excursions (as available) and transfers (via Pisa International Airport) are included as is my tuition for the week. Every day we'll head out to one of my favourite painting spots for the day, we'll sketch, get to know our subject, I will demonstrate and then help each student in turn with their own work. 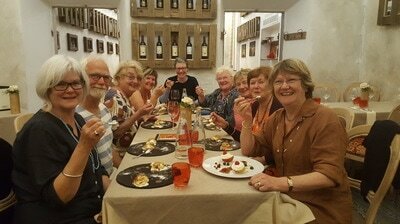 After a siesta, we'll meet for aperitivi and then to dinner, Lucca's favourite dining spots will be waiting for us with a special menu just for us! 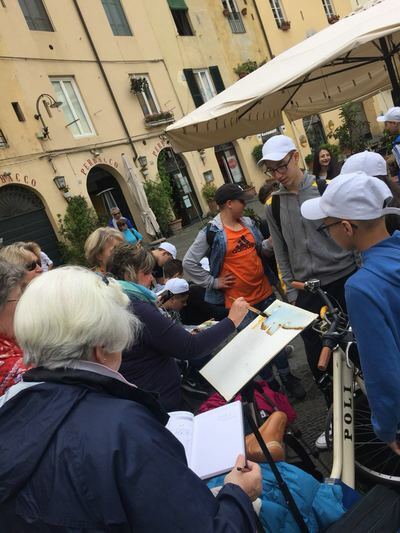 Our main excursion (weather dependant) is to Ponte a Serraglio where we will paint one of my favourite scenes - I know you will fall in love with it like I have!! 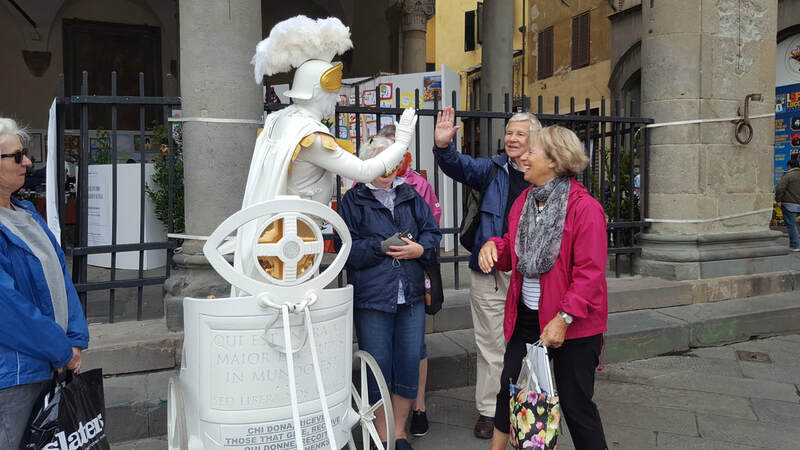 Lucca is the home of Italian Opera so there'll be no shortage of musical wonders to enjoy, we'll also take a night tour of the city and explore one of Lucca's most celebrated archeological sites. This workshop is suitable for any level of experience but some drawing experience will be useful. 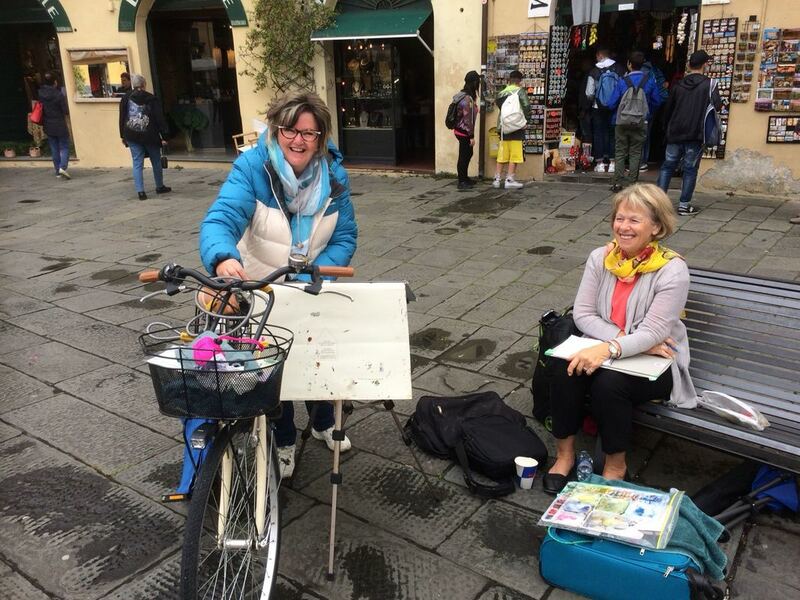 There is so much in Lucca to inspire that we will find something for everyone to draw and paint. 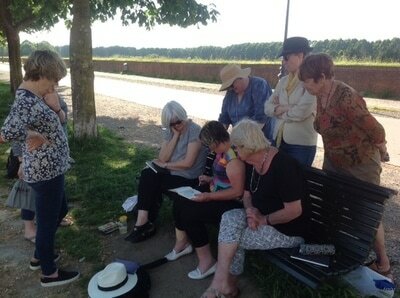 Each day will start with a short theory session then a demonstration of the day's painting subject out on location. After a break, I will let you loose to paint, i will come and help each student in turn throughout the afternoon. 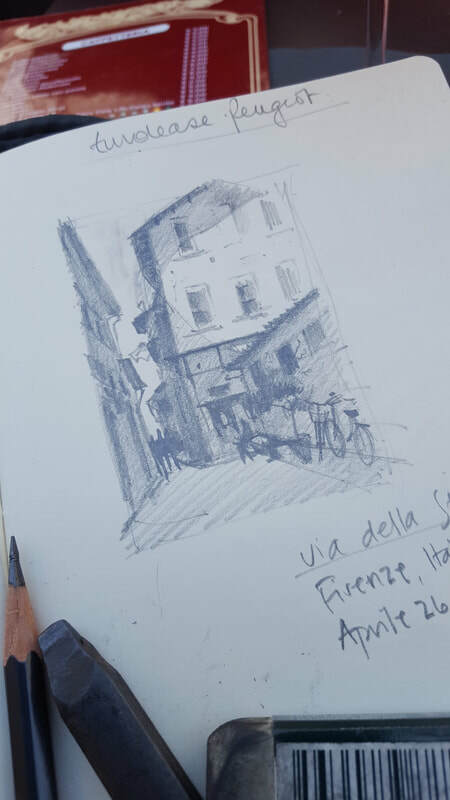 There will be a special emphasis on quick sketching – perfect for when we are on-the-go in daily life or while travelling. We will also explore subject selection and strategies to tackle complex subjects. 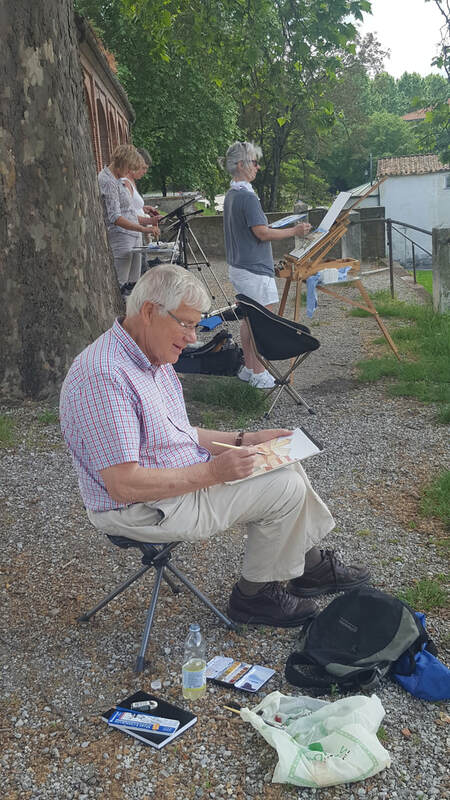 You might not come away with completed paintings as painting en plein air is most suited to sketching and preparation for a studio work. What you will have is lots of reference material to play with when you get home. I allow photographs of the demonstration paintings as they evolve as long as it is understand that I DO NOT allow filming of any kind, including with cell phone or tablets. 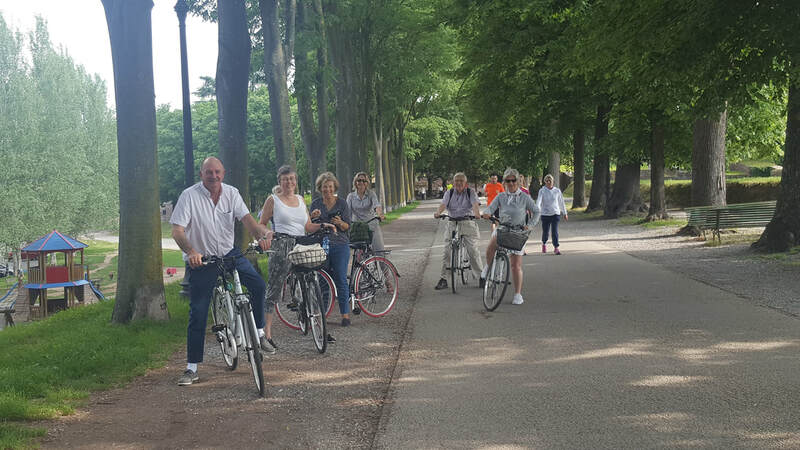 Travel Light: We will be exploring Lucca on foot so please travel lightly and be prepared to carry your own supplies all day. 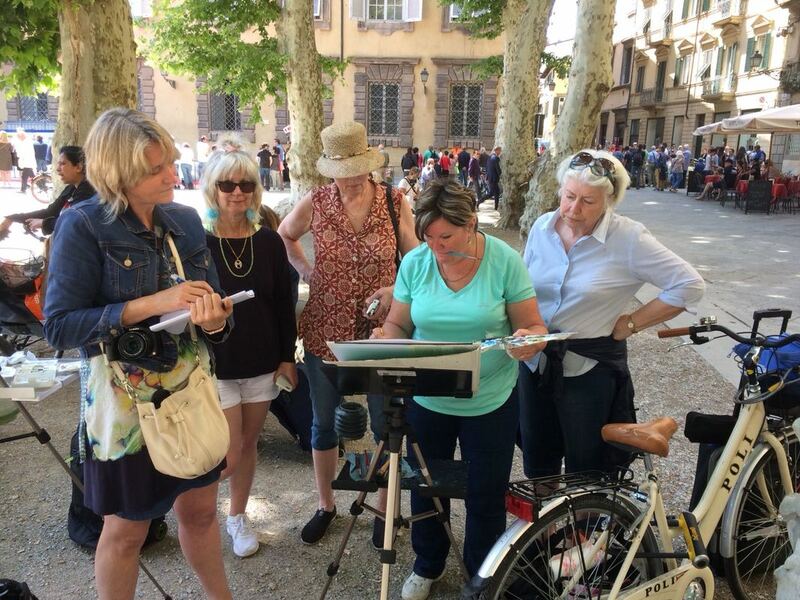 ​Participants are required to bring their own art supplies – a materials list will be sent as part of registration documentation. 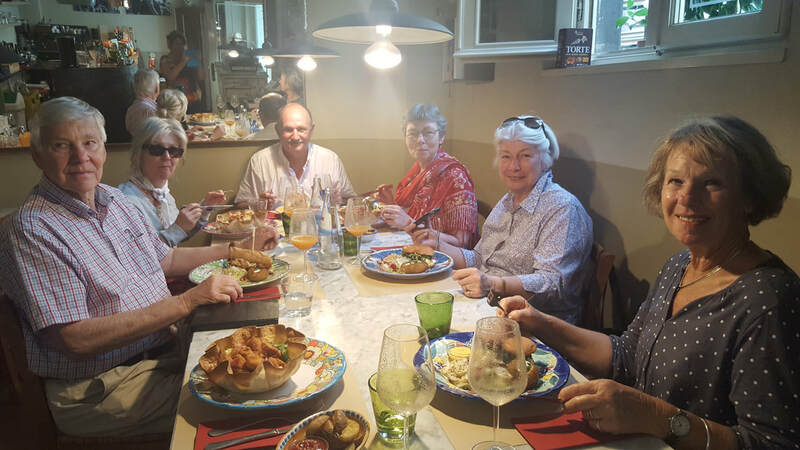 Alcohol and Living expenses incurred by leaving the group on your own are not included. Most days we will paint out all day and students can come and go as their work allows therefore lunch is not included (typical cost E10-E20). Personal laundry is not included however laundry services are available. 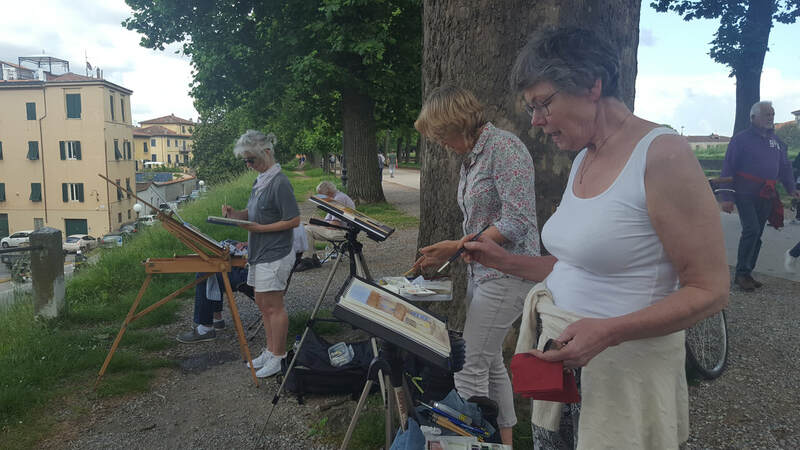 ​Painting Holiday Workshops can involve a considerable amount of walking and stair-climbing and it is important that all students have a level of physical fitness that allows them to take part in these activities without the need of assistance from others. Workshops typically sell out fast, so register early! "Hi Amanda! We had a great time too! I had always avoided landscapes or buildings but now I’m finding it fun. I suppose I just didn’t know how to proceed so the 5 big shapes lesson has been invaluable. 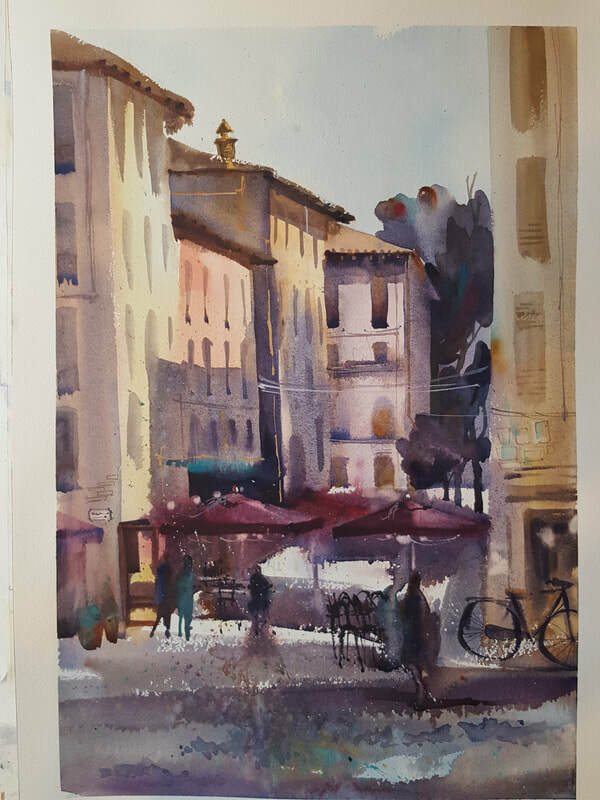 Also your critique here of your own paintings is really helpful for me." "I have had a great time telling friends about Lucca and the workshop, how pleasant the team and how delightful to go out to a new spot each day after coffee in the piazza. 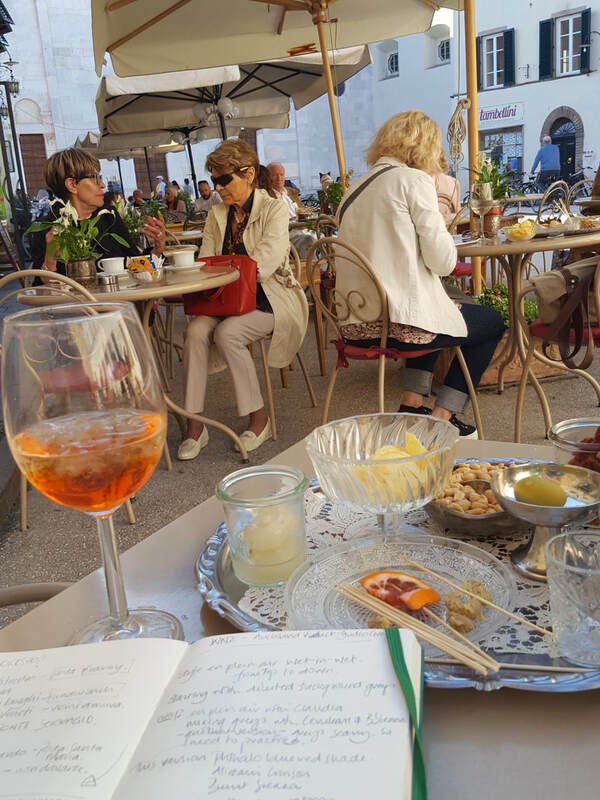 The best, long-term benefit of the time away water-colouring is the determination to find a way to keep going, learn more and produce more, even if it means sacrificing other essentials." 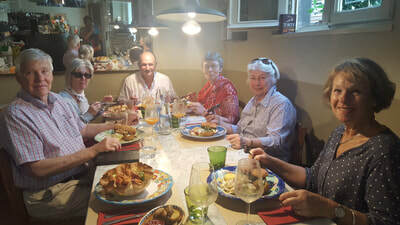 Amanda Brett Watercolour ARtist, an amazing brunch in a new found ristorante! yum! 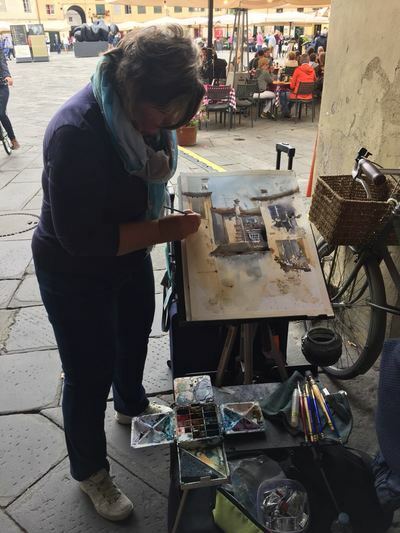 Amanda Brett Watercolour ARtist, focussed! Amanda Brett Watercolour ARtist, more focus! Amanda Brett Watercolour ARtist, Signore Gladiatore!! 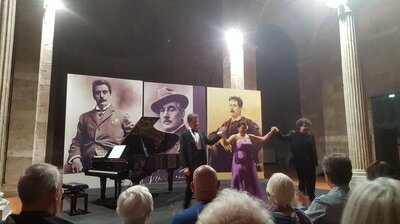 a bit too much crowd! Away from the crowd and rain! Elaine told me a naughty joke - that's my story and I'm sticking to it!! Amanda Brett Watercolour ARtist, group focus! !